A personal message from Law Offices of Campbell & Coombs P.C. 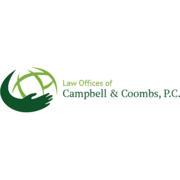 Rate and review Law Offices of Campbell & Coombs P.C. in Mesa, AZ, United States! Share your experiences at Law Offices of Campbell & Coombs P.C. with your friends or discover more Bankruptcy in Mesa, AZ, United States.